Everybody loves music at the Market — and now is your chance to shine. If you have special musical talent that you can take on the road (or to the Market), we’d love to have you perform on a Saturday morning. Please keep music/performance family friendly and to a medium or lower volume as to not interrupt vendors' sale transactions. At this time we are unable to pay our musicians, however please feel free to set out a tip jar as well as sell any CDs, T-Shirts, etc. you have. In addition, we like to promote our musicians on our social media accounts. If you have a small description of yourself/the type of music you play or a website, facebook, etc. then please email this info to Market Staff at [email protected]. Please note, this may be edited for content and space usage. To Sign Up: Pick any date that works for your schedule and sign up providing your name/band group name as well email and phone (this info will only be seen and accessed by Market Staff). Then fill in what type of music/instrument you play. A reminder email will be sent to you a couple of days before your assigned date. Another email will be sent to Market Staff notifying us that you signed up. Please limit yourself to 2 slots per season (in an effort to allow more musicians the opportunity to come play with us). If there are still openings a day before the market, feel free to sign up for those slots. NOTE: DO NOT sign up in dates/time slots that are already taken by other musicians. Only sign up in open available slots. If you need to cancel the date you signed up for, please contact Market Staff at 612-861-9362 or FarmersMarket@richfieldmn.gov. On the day of your performance, if you need to cancel, please call the onsite market cell phone at: 612-369-7397. 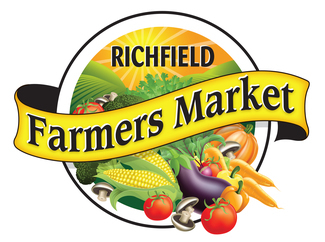 Electricity Access At the Market: If you are scheduled to play at the market and need electricity, then you MUST contact Market staff at 612-861-9385 OR email FarmersMarket@richfieldmn.gov in advance to let us know (otherwise we cannot guarantee that you will have a spot next to an outlet). Questions? Send an email to [email protected], call 612-861-9362 or visit us at the Richfield Community Center.